On January 7, 2019, Alphonsus Albert Lizer, Jr., know to many as "Al," peacefully passed at his residence in Glen Burnie. He was 58. Formerly of Arbutus, Al was born and raised in Baltimore City by Cecelia M. (Nee Tyler) and the late Alphonsus, Sr. Throughout his life time it is said, he had a very narrow but focused set of devotions. He loved his motorcycle and his music even playing the guitar himself. Al was a child of the 60's and 70's and enjoyed the lifestyle of living free and playing hard. Of late he was a member of the Road Hogz Motorcycle Club to which he was a founding member and past Vice President. 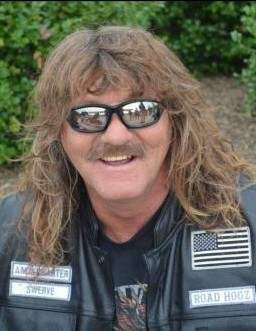 Al was frequently seen dressed as Santa Clause during the holiday season, volunteering for the club as part of the Road Hogz community outreach to children. In his leisure Al also enjoyed hanging out with bands, "a sort of roady," especially local bands and groups considered washed up. He loved them all. Last but not least, Al loved his grandchildren and was a dedicated father and friend. Surviving him is his dear mother Cecelia M., and his loving daughter Julie and her husband Homer Green, as well as his devoted sons Jason A. and his wife Cecilia and Matt A. Lizer. Al is the loving brother of Iris and her spouse Lloyd Miller, Jr., and Richard Lizer. He leaves his cherished grandchildren Jacey, Jocelyn and Jillian Lizer and Logan, Jacob and Alley Green. Finally, Al will be deeply missed by his former wife and dear friend Sharon Lizer.